I would love to have my home decorated entirely with designer pieces instead of soulless mass-production furniture, which is if I had a home of my own. 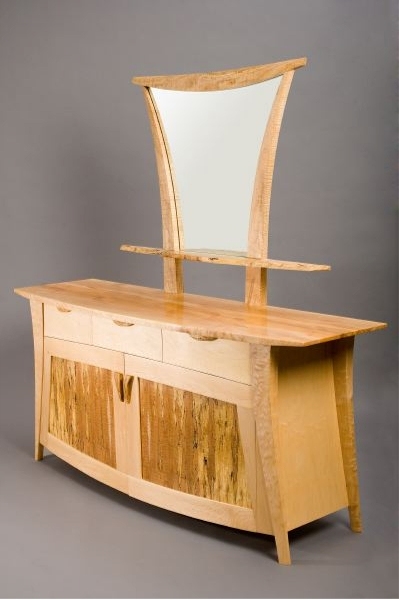 Until then I can only dream of fitting in my imaginary bedroom a whimsical, curly Hayes cabinet and can only sigh for writing at the smooth, graceful Trimerous desk. 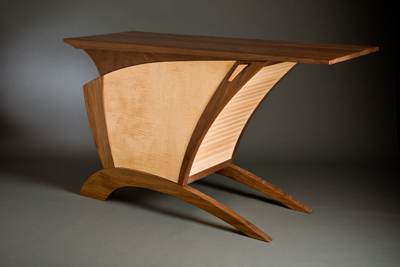 Furniture designer Seth Rolland shows his love for nature in every piece of home furnishings he creates. 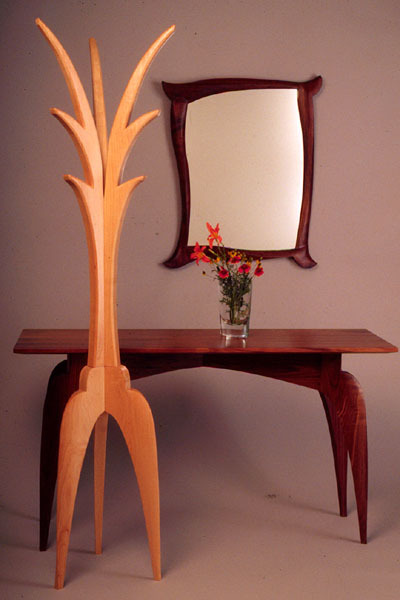 The simplicity and dynamic of the natural forms give his main inspiration while sustainably harvested wood is the basic material for the organic designed pieces. 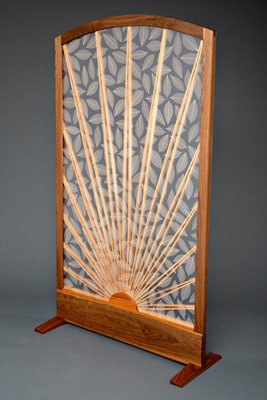 With a 17 year experience in this business, the Port Townsend based designer starts his work with the idea of a natural fluid motion, chooses woods that complement the design of the piece and the room for which it is made while putting "emphasis on structure over ornamentation, and dramatic transitions instead of exposed joinery". Rolland's furniture, with its sinuous lines and unique texture details is meant "to be fun to touch, sit in, eat off and live with for many generations".